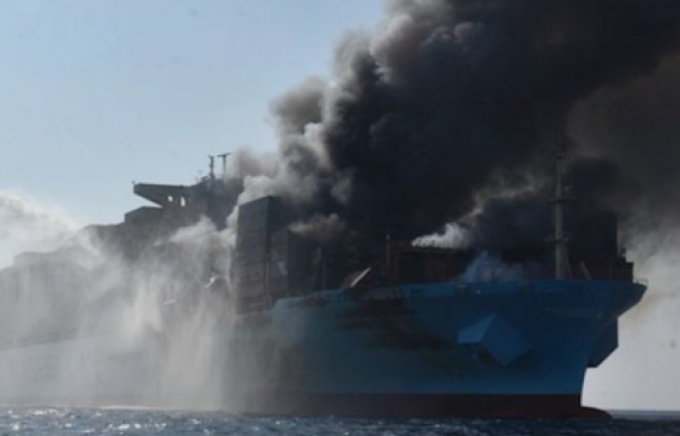 Maersk Line has confirmed the “most likely” port of refuge for the fire-damaged Maersk Honam as Jebel Ali, Dubai – but it may be weeks before the ship can berth. Which means it could be months before the surviving containers reach their original destination. The ship was originally thought to be under tow for Mumbai, but according to AIS signals received from the salvage tugs, it is about to enter the Gulf of Oman. The 15,262 teu ULCV caught fire on 6 March in the Arabian Sea en route to Mediterranean ports, claiming the lives of four seafarers with another presumed also lost. The Maersk Honam was carrying 7,860 containers of consumer goods from Asia, many of high value, destined for most of the major retailers in the region. In a statement, Maersk’s 2M alliance partner, MSC, said that, “based on a limited amount of information to hand”, it “reasonably expects” the containers stowed behind the ship’s accommodation block “should be in sound condition”. However it added: “We must assume, based on the details to date, that most containers located in front of the accommodation area are damaged by fire, heat or the water used to fight the fire.” Indeed, in previous containership fires, a significant percentage of the total claims came from damage caused by water. 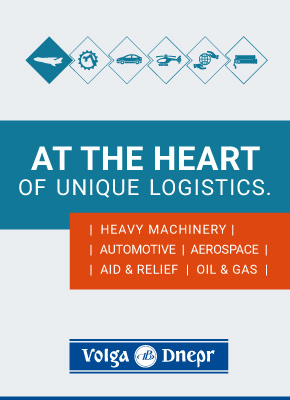 The stowage plan of the ship will enable Maersk Line, MSC, HMM and Hamburg Süd to advise their customers of the likelihood of their cargo having survived the fire. Despite the length of time before the ship will be declared safe to be discharged, MSC has urged its customers with insurance including a provision for general average to contact their insurers without delay. However, under the law of force majeure, cargo owners could also be liable for the cost of relaying containers from Jebel Ali to their destination ports – although the respective carriers may organise the feeder operation free of charge.